Healthy lifestyle choices, weight management (weight loss or weight gain), cholesterol and lipid management, diabetes and hypoglycemia management, irritable bowel syndrome (FODMAPS), celiac disease, vegetarianism, kidney disease, disordered eating, and more. Nutritional assessments are based on the client’s individual nutritional needs, concerns and goals using personal medical and lifestory history. Nutrition education is highly personalized and requires the development of reasonable and achievable goals. 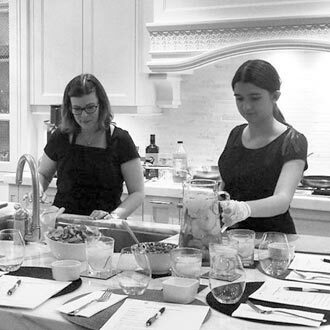 Shauna is available to deliver corporate wellness sessions, cooking demos and provide expert opinion upon request. Sessions involve – Personalized healthy eating guide, sample meal plan, a variety of nutrition tip sheets, recipes, goal setting, as well as nutrition coaching tailored to individual needs. Please note that all sessions conducted by Skype or phone (as of January 1st 2019, in-person sessions are not available). Faculty member with BizLife Solutions online human resources library. Program leader at Wellspring Cancer Support Network. Shauna also counsels clients according to their unique genetic profile, as one of the dietitians offering Nutrigenomix – a personalized nutritional assessment test. Nutrition Specialist – Virtual counselling through Akiramd.